Boxing Insider Notebook: Canelo, Chavez, Russell, Lemieux, Thurman, Lubin, and more.. 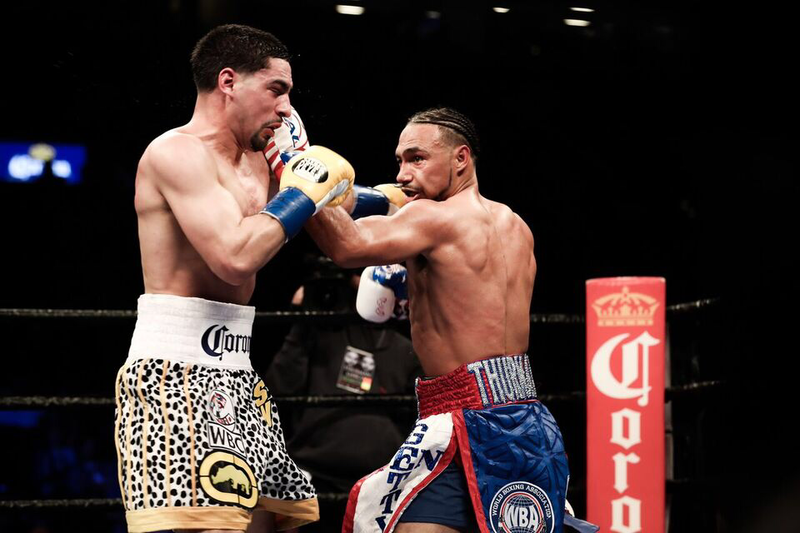 The following is the Boxing Insider notebook for the week of February 28th to March 7th, covering the comings and goings in the sport of boxing that you might have missed. Canelo vs. Chavez Tickets are Sold Out! As part of TyC’s ongoing 25th anniversary celebration of boxing shows, this exciting event will feature a 10-round battle for the WBC Silver Latino Super Bantamweight Championship between Buenos Aires, Argentina’s Roman Ruben Reynoso (19-1-2, 8 KOs) and Sonora, Mexico’s Christian “Molacho” Valenzuela (13-0-1, 8 KOs). In the chief supporting bout, Argentinean 2016 Summer Olympian Alberto Palmetta will go for his third consecutive victory as a professional against Mexico City’s Luis Montelongo (4-1). 26-year-old Palmetta, a junior middleweight, was one of the most heavily decorated amateurs in his country’s history, in addition to fighting in the 2016 Summer Olympics, he won numerous national and international distinctions including the bronze medal at the 2015 Pan American Games. He turned professional in November 2016. In the televised opener, Novato, California via Uruguay’s Rudy Macedo (3-0, 3 KOs) will face also undefeated Leonel Rodriguez of Mexico in a four-round welterweight showdown. The power-punching Macedo was an amateur world champion, PAL champion and five-time Silver Gloves Champion. He is trained by Nonito Donaire Sr. Kicking off the Philly Fight Night series Friday, March 10, at the 2300 Arena in South Philadelphia are 11 fights. Topping the show will be an old-fashioned, all-Philly rumble when lightweights Anthony Burgin and Avery Sparrow collide after an eight-week training camp for each. In the six-round semifinal, Philadelphia favorite Fred Jenkins Jr. meets Roque Zapata, of Culpeper, VA. The first fight will begin at 7:30 p.m., and tickets will be available at the door. “Training at home has been positive. I get to train alongside Bernard Hopkins, Jesse Hart and other top guys from Philadelphia who work hard and push me. They give me good advice and knowledge of the game. We also have the best fighters in the world here so I get the best sparring. By training in Philly, my team and I can’t go wrong. I’m at the point in my life and career where I’ve been through so much there’s nothing negative about anything in my life. Just waking up in the morning is blessing to me. I could have trained anywhere and still been focused.